We are so lucky to have some great new restaurants in the city. One of the new additions to Calgary is Pampa Brazilian Steahouse. I was lucky to be invited to a media dinner for the new restaurant and try out their amazing offerings. This restaurant is every meat lovers dream! 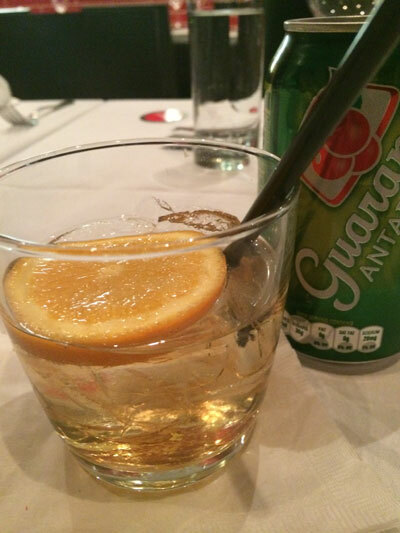 We were greeted by owner Oscar Lopez, who welcomed everyone with a drink – either Caipirinhas or Guarana, Brazilian sodas. Chef Joao gave us a bit of history before we were treated to a delicious meal. 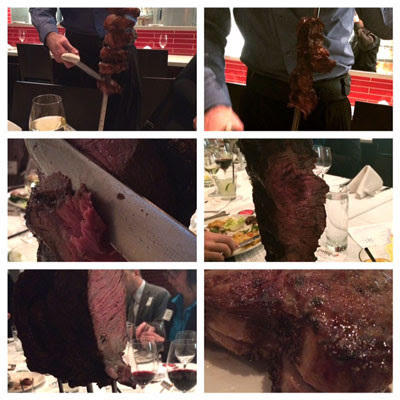 The buffet was unlike any one I have seen at a Brazilian steakhouse. 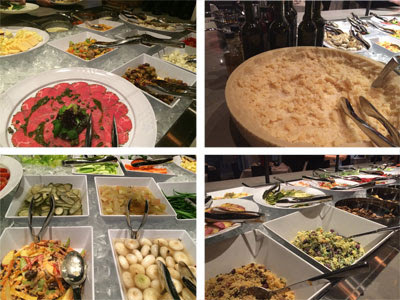 The variety of items was astonishing – from salads and vegetables to beef carpaccio and a wheel of parmesan. Definitely something for everyone. 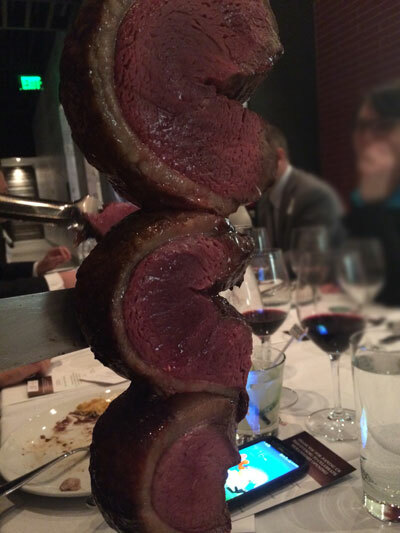 The meat – oh my! Here’s some of what we enjoyed: marinated chicken thighs, garlic steak, top sirloin, bottom sirloin, ribeye and lamb chops. 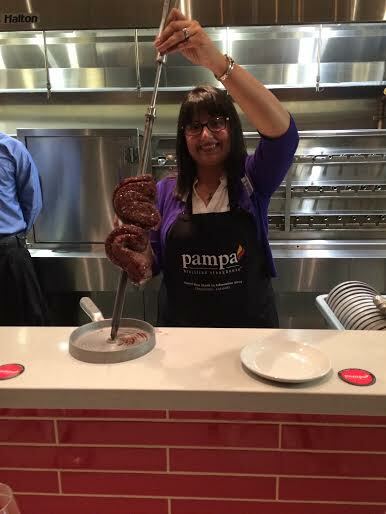 My absolute favourite was the house specialty – Picanha. Also known as beef rump, it was sooooo tasty and melted in my mouth. The food was delicious and the meat made everyone at the table quite happy. 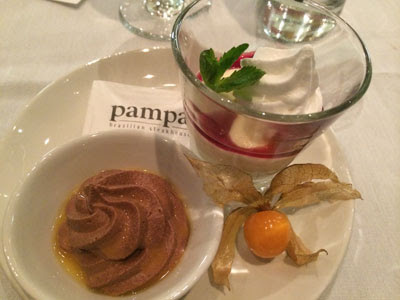 The evening ended on a sweet note – passion fruit mousse with a red wine reduction and chocolate mousse with an orange and star anise reduction. The place was fantastic, the food was delicious and I can’t wait to go back for more!